Monsanto is a corporation most known for its popular weed killer Roundup. However, in recent years, it has come to light that the chemicals used to make the herbicide are carcinogenic, and those who have been frequently exposed to Roundup are now taking action against Monsanto for its irresponsible use of ingredients that may cause cancer. Continue reading to learn more about the carcinogenic ingredients in Roundup, how such exposure has resulted in thousands of cancer diagnoses, and what cancer survivors are doing to hold Monsanto accountable. One of the primary ingredients in Roundup is a chemical called glyphosate. Glyphosate is an herbicide that is applied directly to certain types of plants and grasses in order to prevent or stop their growth. When Roundup is applied to these plants, toxins are released into the air and can contaminate the soil, food, and water supply in treated areas. Long-term and high-level exposure to glyphosate is still being researched, but recent studies have shown a correlation between glyphosate and the development of certain kinds of cancers, including non-hodgkin’s lymphoma. As you can imagine, this revelation has been a huge hit to Monsanto. An increasing number of claimants are coming forward to ensure the company is brought to justice for its negligence in choosing to create an herbicide with an ingredient capable of causing cancer. In August 2018, Monsanto was even ordered to pay one cancer survivor a settlement of approximately $289 million, much of which included a significant punitive damages award. This case set the precedent for other individuals who received a cancer diagnosis after being exposed to toxic levels of glyphosate. 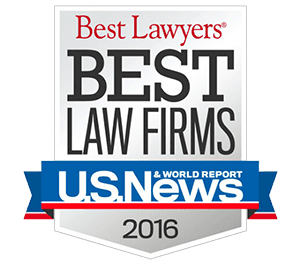 If you have been diagnosed with non-hodgkin’s lymphoma or some other type of cancer that may have been brought on by your exposure to Roundup, and you are interested in pursuing a claim against Monsanto, meet with a highly trained Albuquerque Roundup weed killer lawyer at Will Ferguson & Associates. We are proud to offer Roundup cancer survivors free consultations so we can learn more about the individual details of your case. You can take advantage of this opportunity by giving our firm a call at 505-633-0750 or submitting the online contact form included at the bottom of this page.